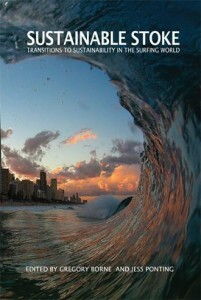 This book brings together the best minds, thought leaders and the most influential figures form the surf industry, academia, non-profits, and the surfing community to create a book that explores the cutting edge of the surfing world's transition to sustainability. We all make choices – consciously or subconsciously, but I think we have a responsibility to consider these questions and make the best choices we can. The industry where my choices have the most impact is surfing. So here I take it as my personal responsibility to ask what I can do to make each product more environmentally friendly. All proceeds from the book will go to surf-related charities. This is where some overview text about the book and all of the awesome people involved goes. You should also have a sentence about the goals of publishing and why people should buy. Lastly you should inform people that the videosbelow are from all the heavy hitters who are part of the book. Order the book already! What are you waiting for? This thing will change your life. Join the rest of the cool people and get it today.